ogurt is so good for you. There is so much healthy bacteria in yogurt, but not all yogurt is created equal. Sure that fruit not on the top tastes good, but have you read the label? Sugar. Lots of it. Do you know how easy it is to make your own yogurt? Easy peasey lemon squeezy. Here we go. 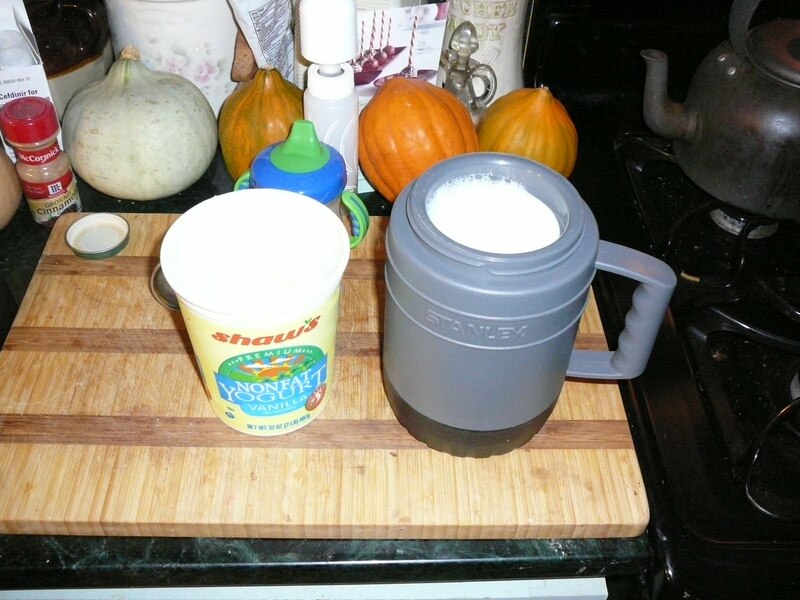 You need a thermos, 1 tablespoon of yogurt and as much milk as you can fit in the thermos or lesser if you want less yogurt. Fill the thermos up with milk and dump that into a pan. Bring the milk to a boil. 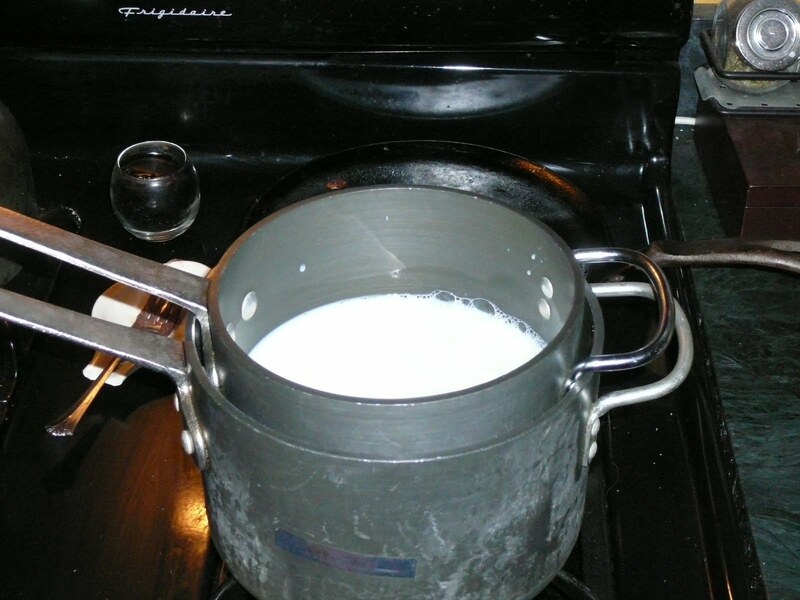 You can use a double boiler or the pan on the burner but as this is milk, watch for boilover. Just get it to a boil then take it off the burner. 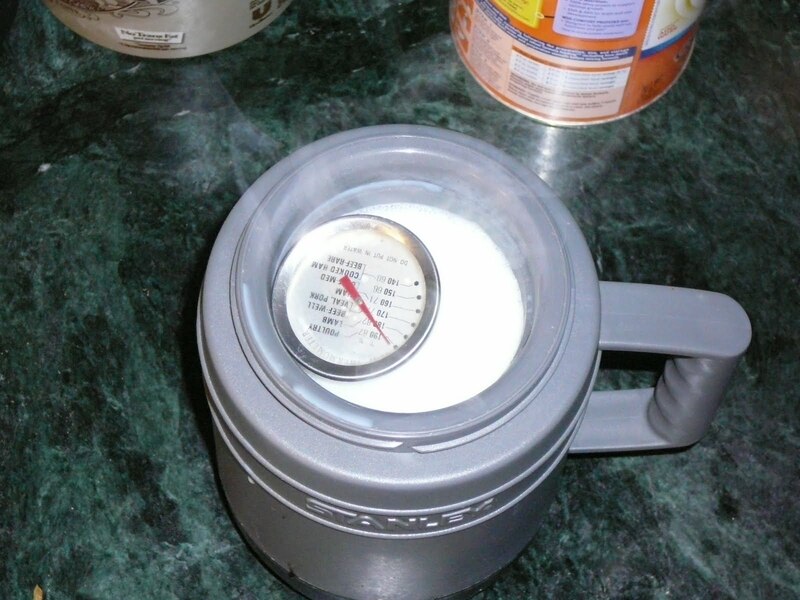 Pour the milk into the thermos and wait until it is lukewarm ~112F. Plop in a tablespoon of yogurt and close the lid. It should be ready in 12 hours or so. Just open the top and shake it a little to see if it has solidified. This has no sugar so you probably want to sweeten it yourself. Mix some grapenuts or granola and honey in or use it in a smoothie. I keep ice cubes made from frozen fruits from the summer in the freezer. A couple of these and some yogurt in a blender make a great morning drink.